Our association’s newsletter, the Vexilloid Tabloid , is into its 40s thanks to the continuing hard work of editor Ted Kaye and contributing PFA members. 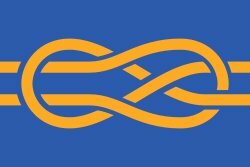 Updating the Portland Flag’s Specs? 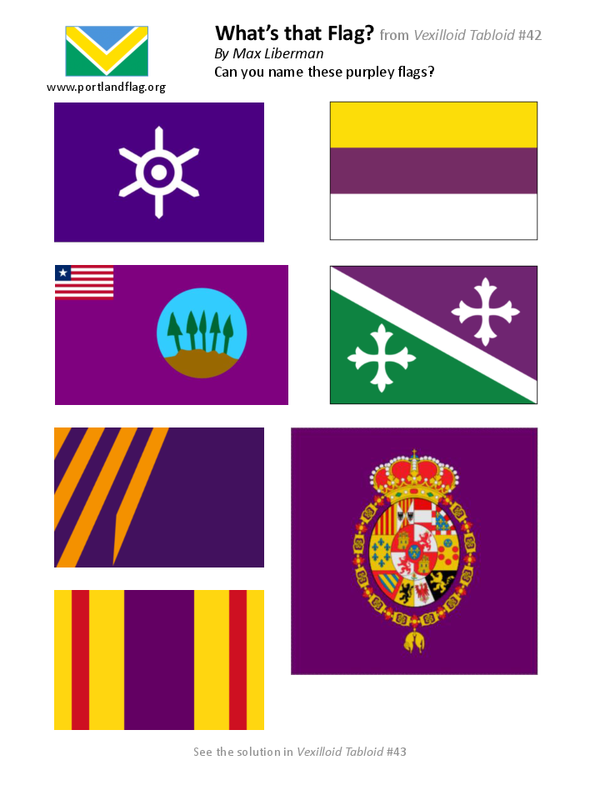 And as (almost) always, both issues include Flags in the News, Portland Flag Miscellany, the “What’s that Flag?” (from quizmaster Max Liberman), and notes from our last meeting. 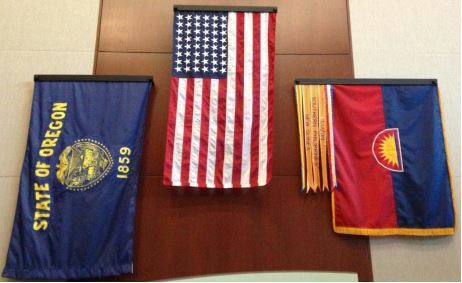 The flags of the State of Oregon, the United States (48 stars, 1912-1959), and the 41st Infantry Division, with battle streamers, decorate the gymnasium foyer at Camp Withycombe, the Oregon National Guard base. 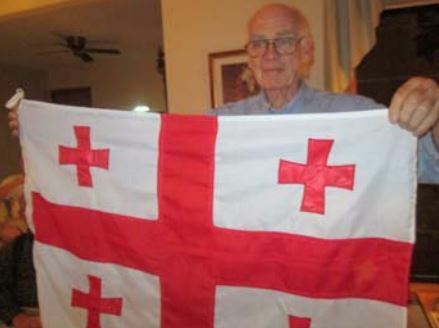 New PFA member Sam Oakland shares his custom-ordered Richard III banner. 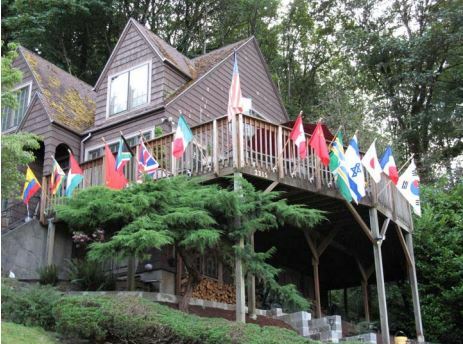 International flags fly from the home of Bill Hilliard, retired editor of The Oregonian, as mementos of his global travels advancing press freedom. 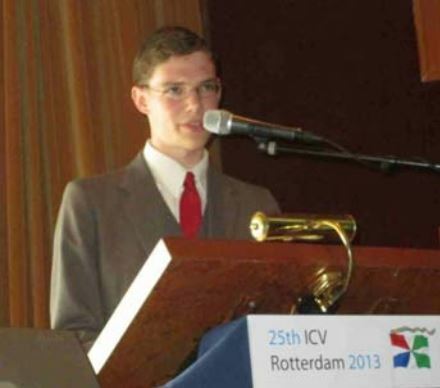 Portland Flag Association delegate Max Liberman presents a persuasive case for PFA’s membership in the International Federation of Vexillological Associations (know by its French acronym, FIAV), at the 25th International Congress of Vexillology in Rotterdam. Fans of the Portland Thorns women’s soccer team have created a version of the Portland flag, using the team colors of red, green, and black. 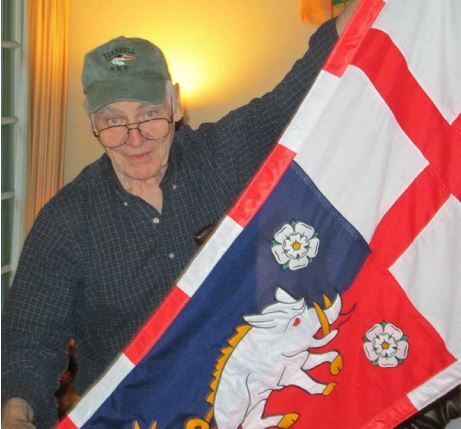 They told photographer David Ferriday that the artwork is on file at Elmer’s Flag & Banner.